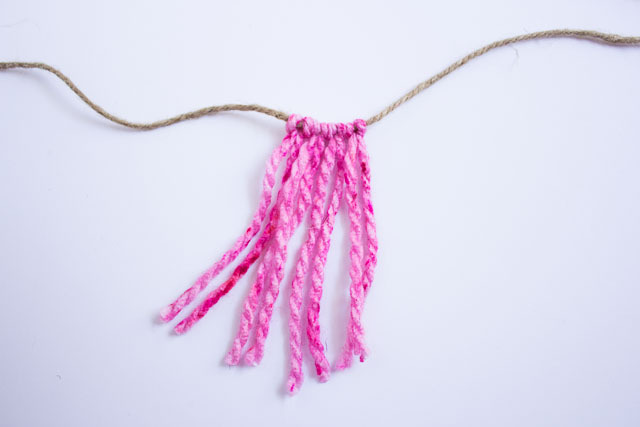 Making the garland is about as easy as it gets – just cut a bunch of yarn roughly the same size and tie each piece around a length of twine. 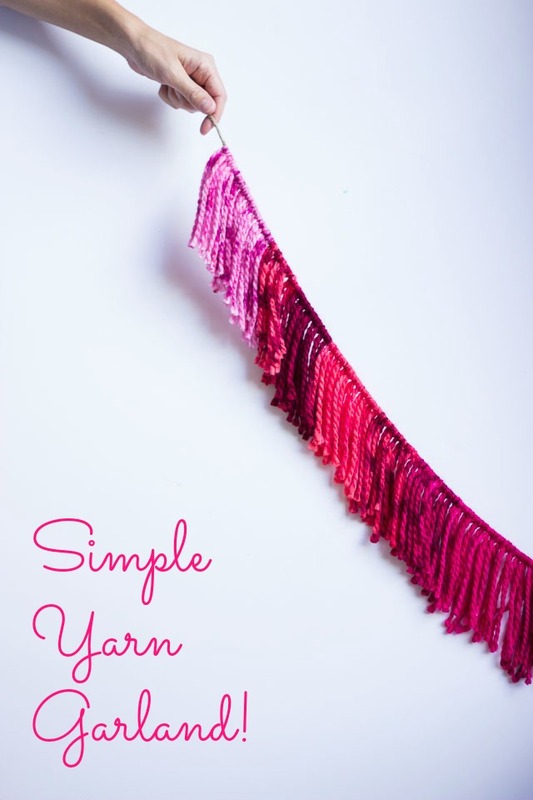 A great mindless project while watching TV! 1. 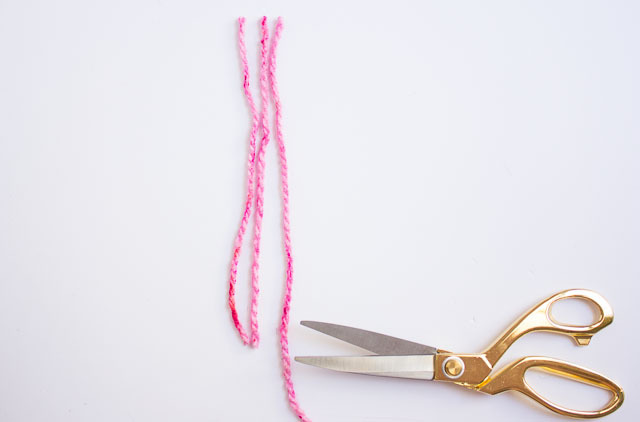 Determine how long you want the strands of yarn to hang on the garland and cut a piece twice that size (they will be folded in half to make the garland). My pieces were about 10 inches long. 2. 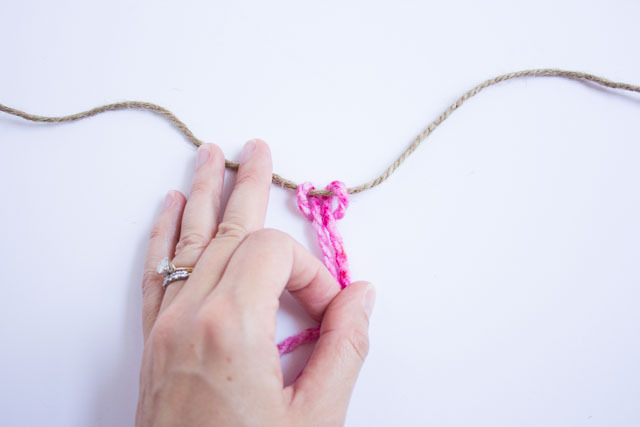 Using your first piece as a guide and cut a bunch more of the similar length, laying them out in a row to maintain the pattern in the variegated yarn. 3. 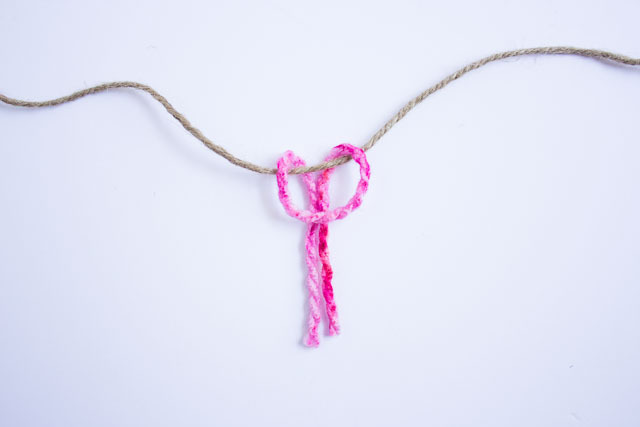 Cut a length of twine as long as you want the garland to be and then start tying on the yarn one piece at a time. 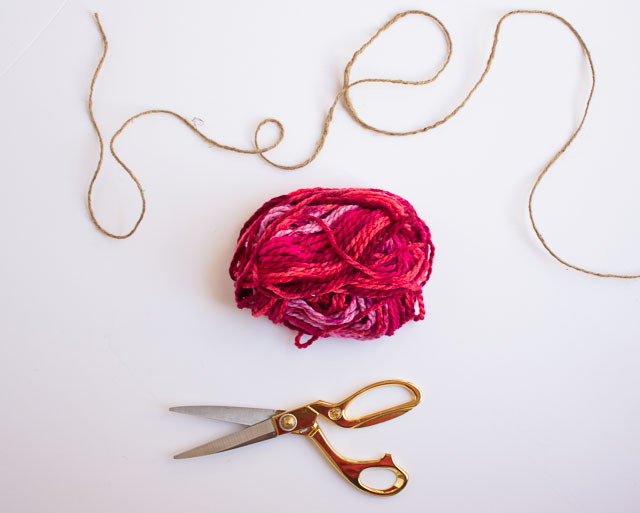 To do so, pinch the piece of yarn in half and then fold over the top of the twine bringing the ends through. 4. Continue this process with each of the strands. It is an easy, mindless process but it can take a little time. 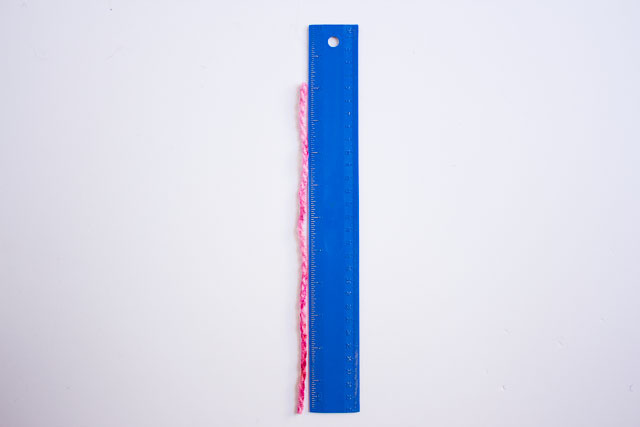 Expect around 2 hours to make a garland. 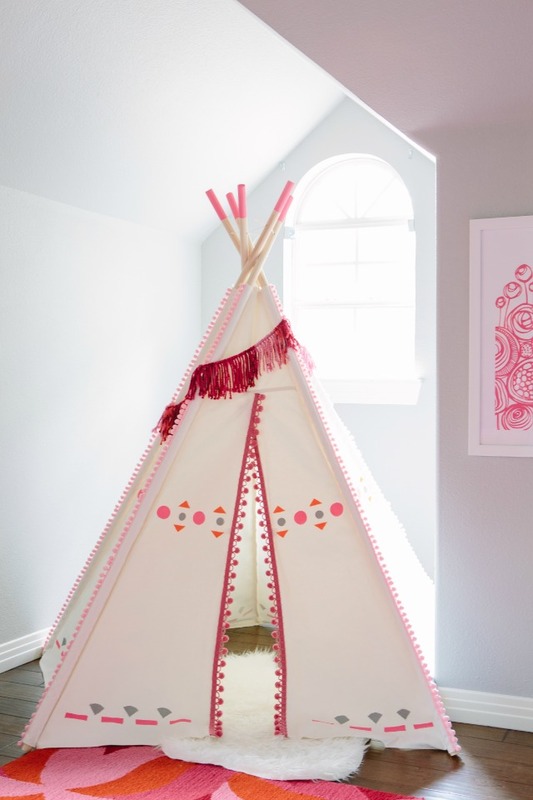 Once I started making garlands, I couldn’t stop – and made one to drape over the girls’ teepee as well! 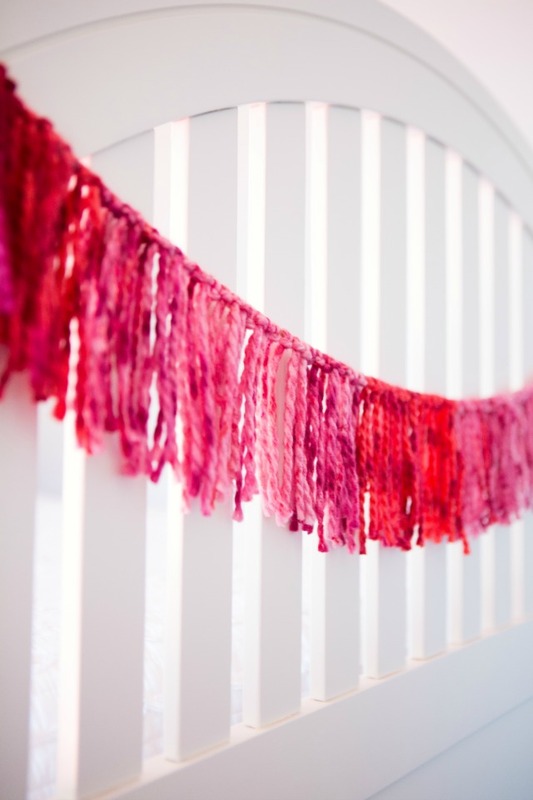 Photos of girls’ bedroom by Candice Stringham.